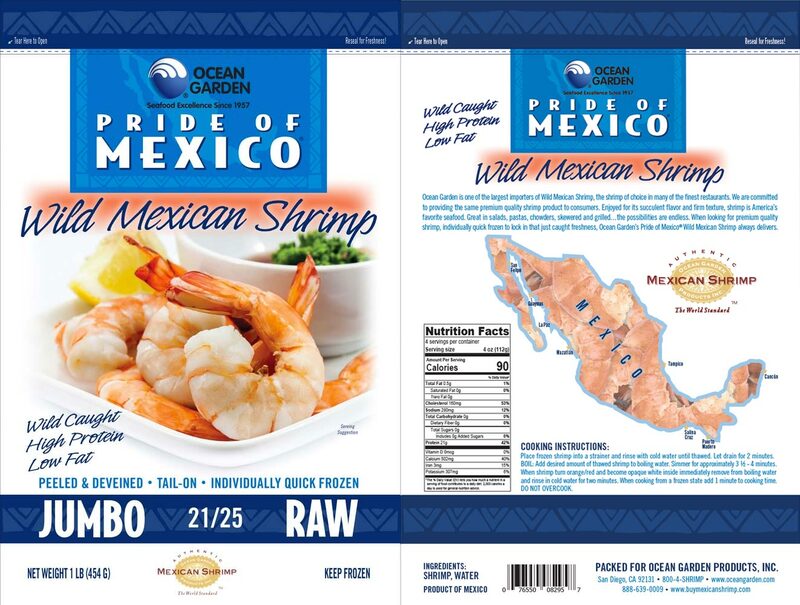 Ocean Garden is widely respected as reliable source of high quality seafood from around the globe. 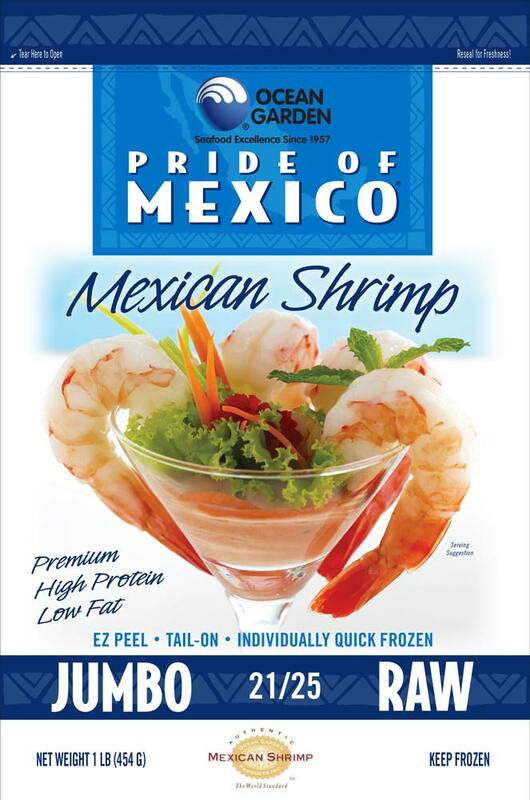 We specialize in shrimp products based on their popularity among consumers and their high nutritional value as source of protein. 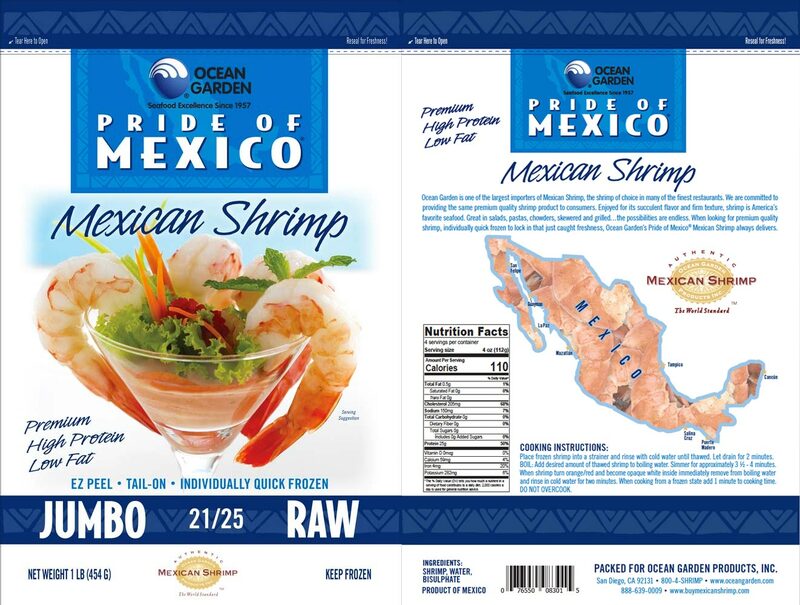 Our Ocean Garden Mexican Shrimp products reflect our commitment to responsible sourcing and excellent quality, making them the first choice of professional chefs and shrimp loving consumers. 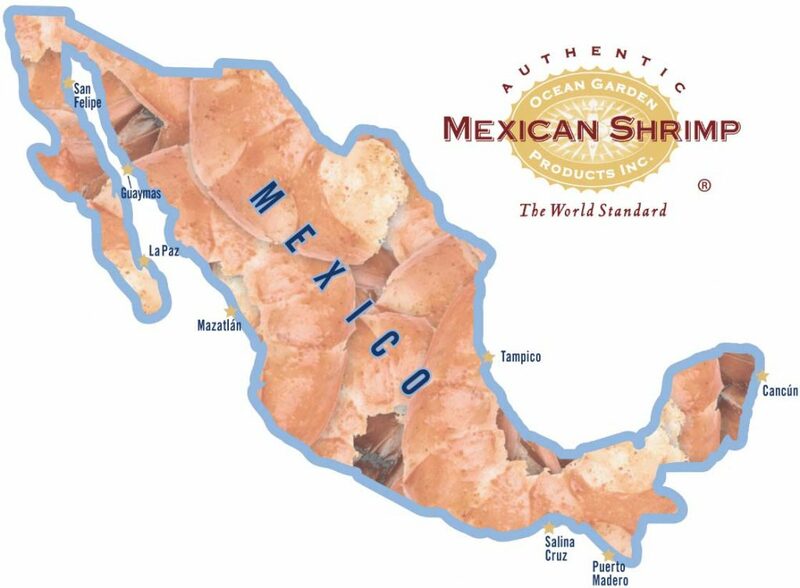 Our long standing association with Mexican shrimp boat owners began in 1957, and our joint commitment to providing the finest shrimp products has made Ocean Garden on of the largest importers of Mexican Shrimp, the shrimp of choice in many of the finest restaurants. 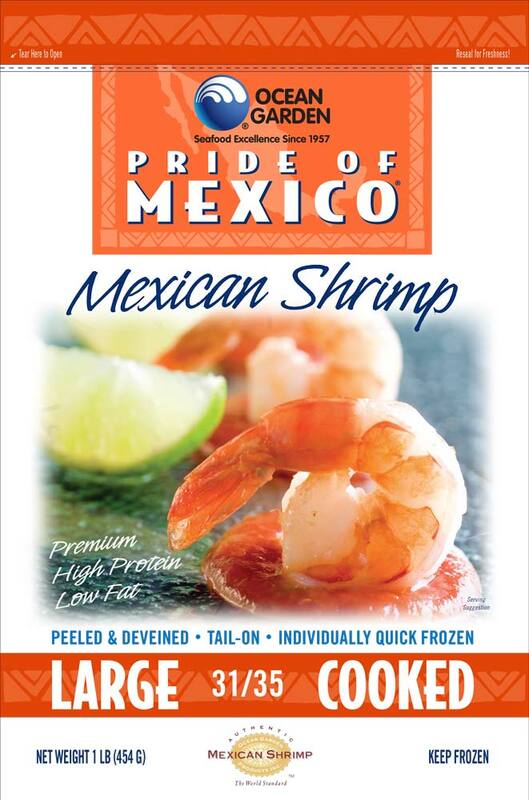 We are committed to providing the same premium quality shrimp product to consumers. 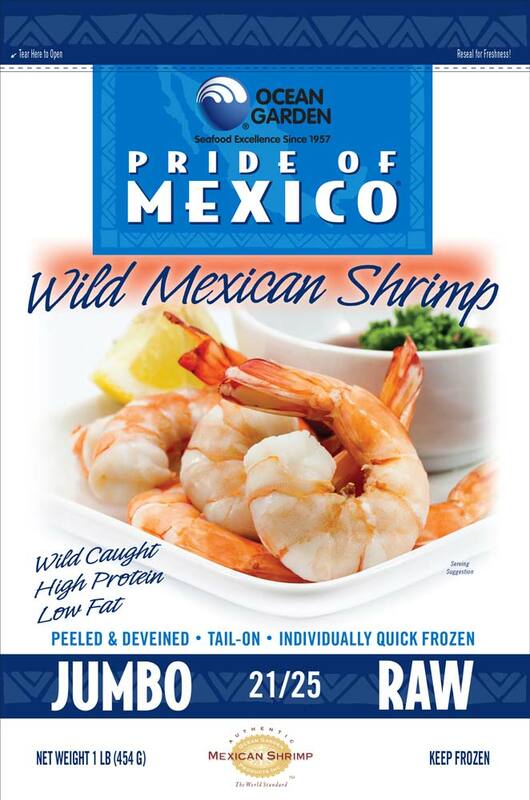 Enjoyed for its succulent flavor and firm texture, shrimp is America’s favorite seafood. Great in salads, pastas, chowders, skewered and grilled… the possibilities are endless. 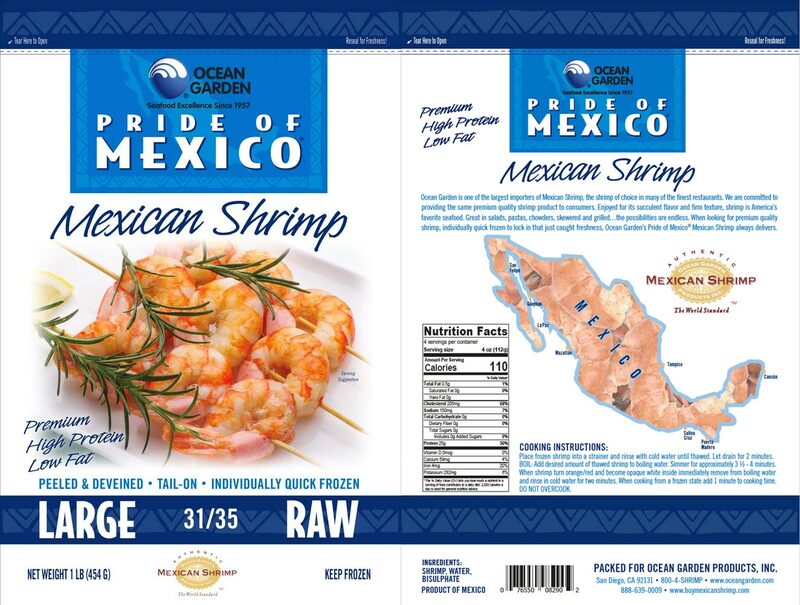 When looking for premium quality shrimp Ocean Garden’s Pride of Mexico® Mexican Shrimp always delivers. 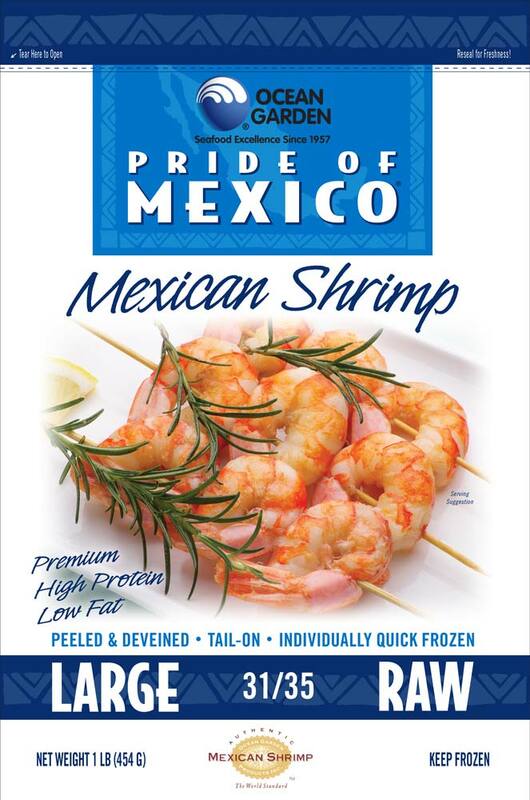 Great Tasting Shrimp – Excellent shrimp flavor, natural color, firm texture. Traceability – We recognize and embrace the importance of a comprehensive traceability program that provides a platform to prohibit illegal fishing and over-fishing of specific species. 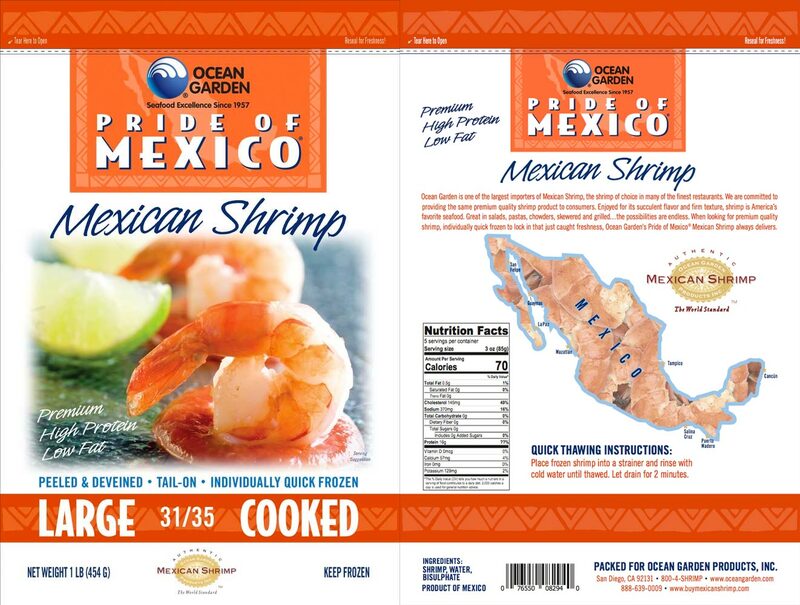 Premium Grade – Premium grade and uniform sizing to meet the demands of discerning chefs and shrimp loving consumers. Quality Control – Consistently meets industry’s highest grading standards. Nutritional Value – Not saturated fat, low calories, high protein food source that is light and versatile ingredient in so many popular dishes.